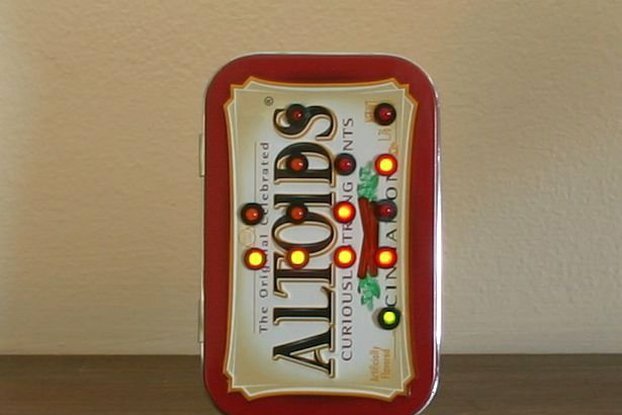 The SteelPuppet LeoNeoClock is a custom circuit board, based on the Arduino Leonardo, that turns a ring of 60 Adafruit NeoPixels into a unique wall clock. 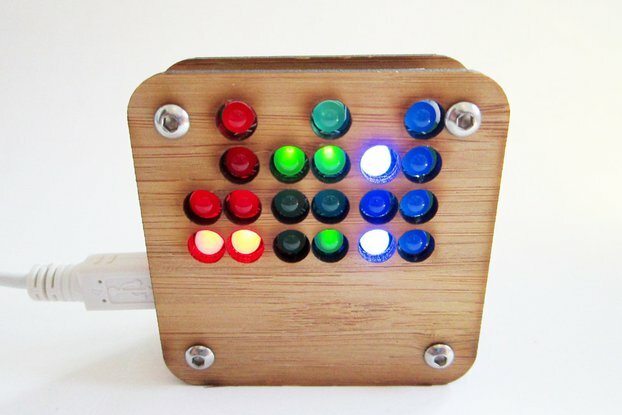 This kit includes the clock board and a set of four 1/4 ring NeoPixels. You will need to solder them together and supply a CR1220 coin cell battery. The clock comes with the basic 12 hour clock program installed. You may modify the source code as you see fit to add visual alarms, custom colors, or your own brand of clock operation. It also has four of the I/O ports broken out for hardware hacking. Three are analog in and one is digital I/O with PWM (pulse width modulation). As it ships, the hour markers are orange in the am and pink in the pm. The hour hand is yellow, minute hand green, and second hand blue. It has a light sensor and automatically dims for dark rooms and brightens for light rooms. You can also manually adjust the brightness with the two buttons. This is a kit. All of the surface mount parts are soldered onto the main clock board. 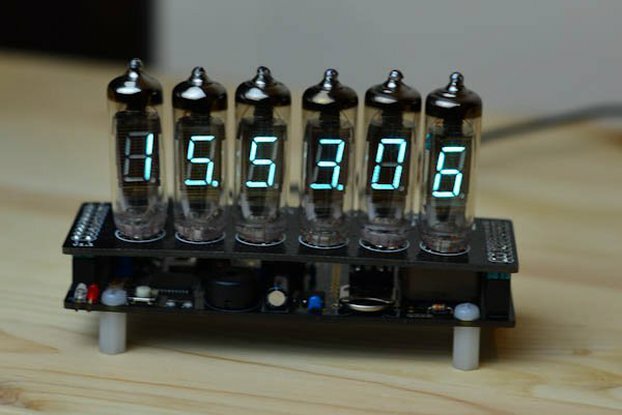 It has spots for a number of optional 0.1″ headers that aren’t used in normal clock operation. If you want to use the I/O functionality, you can get the headers just about anywhere that sells electronics. 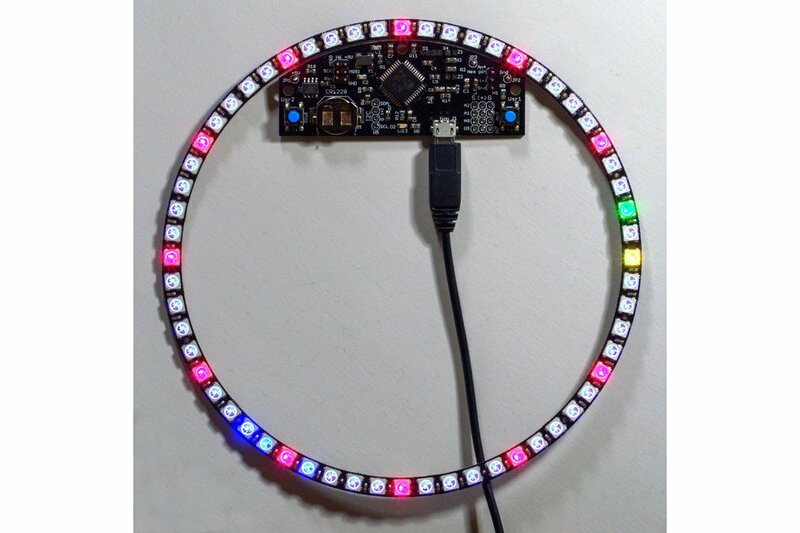 As a kit, you will need to solder the four NeoPixel quarter rings together to create a complete ring, and you will need to solder the board to the ring. *There are a lot of restrictions on shipping lithium batteries, so I don’t include it. The required coin cell should be available for you locally. I don't yet have the source code for the sketch posted anywhere. However, if you purchase, I will simply email you a zip file with the source. I do now. The links to documentation and source code are above, on the right side of the page, just below my logo.